In 1969 – no doubt sheepish about the cost of the Medicaid program that he signed into law already spiraling out of control – President Lyndon B. Johnson addressed the American people about breaking the back of poverty. Johnson, a Democrat, fervently believed that the people of America didn’t want handouts but a chance to support themselves. He believed Medicaid would be a safety net for the disabled, elderly and people with small children. Instead, Medicaid has turned into a Sharknado-sized health insurance program for 20% of Americans, and it gets bigger and more expensive every year. 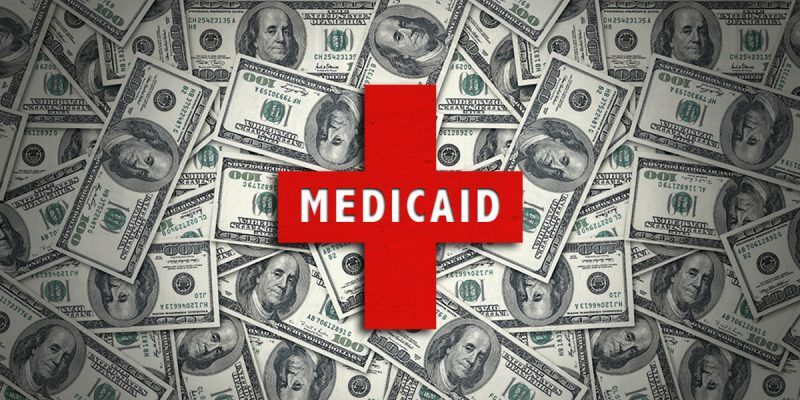 In its infancy, Medicaid cost about $1 billion a year. Now it tops $550 billion. In Louisiana alone, the cost of Medicaid has increased from $5.9 billion in 2008 to $10.7 billion today (65% of all births in Louisiana each year are paid for by Medicaid). These are not all federal dollars. The state Medicaid contribution has increased from $1.7 billion in 2008 to $3.3 billion today. This growth is simply not sustainable unless we want to substantially cut funding for other priorities of government, such as universities, public schools, roads and public safety. We have to make a choice: Either Medicaid is a safety net for the old, the disabled and mothers with babies or it’s a health insurance program for the masses. If the American people and Congress decide it should be a health insurance program for the population at large, then it needs to operate like health insurance does in the private sector. In other words, able-bodied adult enrollees need to work in order to receive their benefits. I’m filing legislation entitled the “Medicaid Reform and Personal Responsibility Act of 2017” to create a Medicaid work requirement for a very simple reason. I want people to prosper. I don’t want them to remain mired in poverty. I want to break poverty’s back instead of creating a system that forces the American people to subsist on government handouts. And the best way to do that is to incent able-bodied people to know the dignity of work. Because a person without a job is neither happy nor free. My bill is a common sense approach to reducing America’s reliance on entitlement programs. Its Medicaid work requirement is similar to the current work requirement for food stamps: Adults between the ages of 18 and 55, who have no dependents and are not disabled, must spend 20 hours a week working in a job, going to school or doing community service in order to continue to receive free health care through Medicaid. I believe there is a close correlation between getting up in the morning and getting ahead in the world. Our goal should be to get people off Medicaid because they can afford their own health insurance. I don’t want to take Medicaid away from people in need. I do want fewer people to need Medicaid. In other words, if you’re disabled, pregnant, elderly or caring for young children, my bill doesn’t apply to you. I’m not asking a mother with a baby in her arms to get a job. I’m not asking a grandfather in a nursing home to fill out employment applications. All my bill says is that if you’re between the ages of 18 and 55 and if you’re able to work, then you need to work, go to school or do public service. Let me be clear about something. I know our oilfield families and our flood victims are hurting in Louisiana, and I’m not looking to add to their hurt. I’m working hard to put our oilfield workers back to work and to get our flood victims the assistance they need in order to recover. This bill is not about them. It’s about able-bodied adults between the ages of 18 and 55 who have no dependents and who have been unemployed for years. Our country has grown and evolved a lot since Medicaid passed in 1965. We now face new challenges at home and abroad. Medicaid has grown as well, but it hasn’t evolved in a positive way. Just three years after Medicaid was founded, we knew the program’s high costs were a problem. More than 50 years later, it’s past time to do something about it. We’ve got to break the back of poverty and stop breaking the bank. The best social program, after all, is a job. I also don’t want the sick to get sicker or the elderly to suffer. That’s why my bill does not target the truly vulnerable people who rely on Medicaid. At the same time, I want our country to get its spending under control, and I want our people to flourish. By implementing a work requirement for able-bodied adults, Medicaid will evolve to the logical next step. The goal of Medicaid was to ensure that people are healthy. If they’re healthy, then the next step is to help them join the workforce. The simple fact is there are work requirements for unemployment assistance, welfare payments, subsidized housing and food stamps. These requirements have been a success, not just for stemming the programs’ costs but for helping people build careers. Yet there is no expectation for Medicaid recipients to work. Work requirements exist because these programs are supposed to be safety nets. They’re not supposed to permanently support you unless you’re truly sick or old. These social programs were meant to be bridges, not parking lots. Medicaid costs aren’t just a national problem. The program’s expense is clipping the wings of great states like Louisiana. We’re becoming a country in which people subsist instead of thrive. We’re becoming a country in which poverty is a way of life for generations of families, and that’s just sad. More than 50 years after Medicaid began, it’s time to break the back of poverty once and for all. We can start with a work requirement for Medicaid. Previous Article You’re Aware HB 71 Is Being Killed In The Senate, Right?